Sales of medium-duty trucks rose 12.9% in November on the strength of Class 7 trucks, which posted the largest year-over-year increase, according to WardsAuto.com. Sales hit 17,844 units compared with 15,811 a year earlier. Volume year-to-date reached 201,611, up 7.5% from the 2016 period’s 187,598. Sales of Class 7s rose 24.1% to 5,152. Three truck makers controlled almost 95% of the trucks sold in this class. Freightliner had a 53% market share with 2,754 trucks. Freightliner is a brand of Daimler Trucks North America. 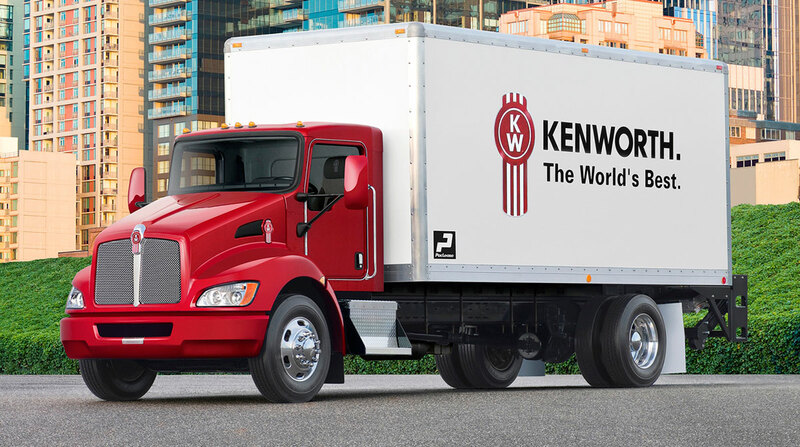 The combined sales of Paccar Inc.’s Kenworth Truck Co. and Peterbilt Motors Co. totaled 1,115 for a 22% share. International was next in Class 7, selling 964 trucks, for a 19% share. Others included Hino Motor Sales USA Inc. with 197 trucks, and Ford Motor Co. with 122. Class 6 climbed 14.5% to 5,241. Freightliner earned a 47% share, selling 2,483 trucks. Ford was next with 1,236 sales, and a 24% share. “Many dealers reported that medium-duty sales were solid this year and that they anticipate this strength will continue in 2018,” Neil Frohnapple, director of equity research at The Buckingham Research Group, wrote in a note to investors that discussed the results of his latest survey of Freightliner dealers. Classes 4-5 sales were 7,451, an increase of 5.2%. Ford was the leader with sales of 3,909 and 371, respectively, in the two classes. In Class 5, Ram Trucks, part of Fiat Chrysler Automobiles, had the second-highest sales at 1,373. In Class 4, Isuzu Commercial Truck of America Inc. had a leading 57% share, selling 808. Meanwhile, dealers also told Frohnapple that Daimler’s medium-duty DD8 engine is on track to go into production in February. “But we are hearing that it is only available to come equipped with an Allison transmission for the first six months of production before Daimler offers the Eaton transmission as an option,” Frohnapple wrote. The DD8 — a brand of DTNA unit Detroit Diesel Corp. — will initially be available in the Freightliner M2106, 108SD and 114SD models, according to the engine maker. DD8 targets a wide range of vocational applications including utility, maintenance and repair services, pick-up and delivery, oil field and construction, in addition to logging, plow and dump, wrecking and refuse operations. DTNA announced in November 2015 a $375-million investment to bring the manufacturing of its [DD5 and DD8] proprietary medium-duty engines to its manufacturing facility in Redford, Mich.